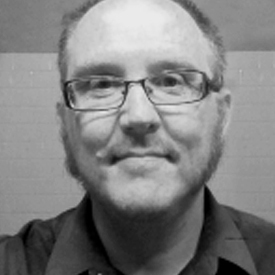 Donal Hegarty is the Program Manager for the Ong Center for Digital Humanities at Saint Louis University. He is also the UX/UI Designer for the center. Donal has worked in design for twenty years and had spent over a decade in various managerial roles in design. He has Masters in Medieval History from SLU, is a graduate of Webster Groves University School of Business as well as holding two degrees in fine art, and design from the Crawford College of Art and Design, and Cork Institute of Technology respectively. Donal is responsible for outreach, solution planning for new projects and development.